Shetland is home to many geographical singularities. One of them is the 60th parallel cutting through the southern section of the mainland island as well as the island of Mousa. On his quest to go “from Home to Home” Shetland writer Malachy Tallack walks the width of the islands from the Atlantic coast across to the North Sea coast before circumnavigating the world following the 60th Parallel. 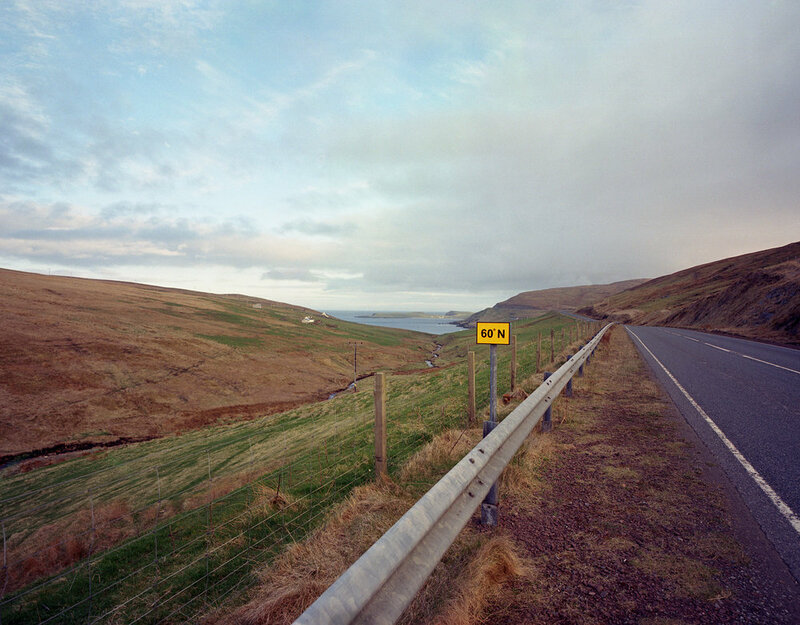 Phil Le Gal’s series 60 Degrees North: Across the Blue Waters and White Lands, follows in the footsteps of Shetlands writer Malachy Tallack along the 60th latitudinal parallel, exploring life along the 60th parallel and its possible encounters.